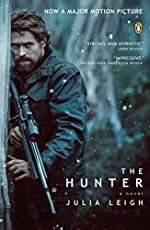 The Hollywood Reporter is reporting that production has begun on the film adaptation of Julia Leigh's debut psychological thriller The Hunter. Directed by Daniel Nettheim, the film stars Willem Dafoe, Sam Neill and Frances O'Connor in a haunting tale of obsession and redemption in which a business proposition takes on mythic aspects. The quest for a nearly extinct animal becomes a search not for ultimate profit but for the essence of life that technology has all but crushed.